Dr. Siyabonga Cwele will step into Malusi Gigaba`s shoes as the new Minister of Home Affairs as announced during the cabinet reshuffle Thursday afternoon. Siyabonga Cwele to takeover post as home affairs minister. Cape Town has just been through one of the worst droughts in the regionâ€™s history and yet, through the collective efforts of its citizens, the city is back in business â€` thanks largely to the City of Cape Townâ€™s municipal leadership and its ability to mobilise its people toward sustained conservative usage. In keeping with the trend for most of 2018, and following on from August statistics, September arrivals continue to show 2018â€™s lack of performance in terms of tourist arrivals. When it comes to South African tourism, our beaches, safari parks, Table Mountain and the Garden Route undoubtedly garner the most attention. 2. Cabinet reshuffle: Siyabonga Cwele replaces Gigaba as Minister of Home Affairs target=\"_blank\"
3. Cape Town conquers water crisis and beckons tourists to return target=\"_blank\"
4. 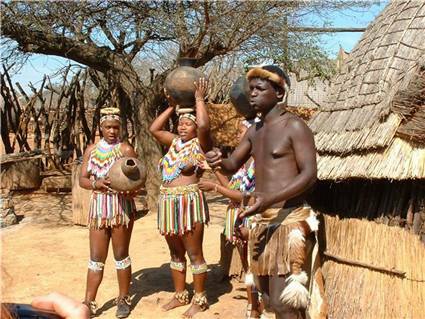 South Africaâ€™s tourist arrivals struggle to make comeback target=\"_blank\"
5. Rehab tourism is big business target=\"_blank\"